America’s shocking aircraft losses in the Vietnam war: 10,000 shot down! [Vietnam is a war that went very wrong for America and the Jews in the USA were also working hard in 101 ways to ensure that the whites lost. 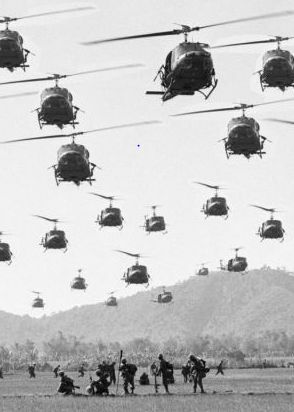 Helicopters were used in a big way in Vietnam. 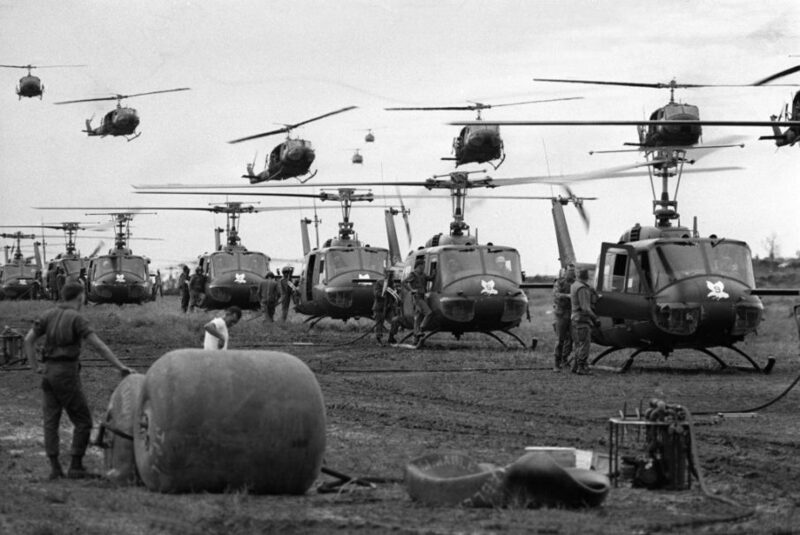 I recalled coming across mention that 600 helicopters had been shot down in Vietnam and I thought that was hideous. In Rhodesia helicopters were critical for our fight. We only had 8 and South Africa lent us another 42. These proved to be utterly critical in our survival. So the thought of 600 helicopters being shot down in Vietnam made me cringe. During the Vietnam War, thousands of U.S. aircraft were lost to antiaircraft artillery (AAA), surface-to-air missiles (SAMs), and fighter interceptors (MiG)s. The great majority of U.S. combat losses in all areas of Southeast Asia were to AAA. The Royal Australian Air Force also flew combat and airlift missions in South Vietnam, as did the Republic of Vietnam. Among fixed-wing aircraft, more F-4 Phantoms were lost than any other type in service with any nation. In total, the United States military lost in Vietnam almost 10,000 aircraft, helicopters and 578 UAVs (554 over Vietnam and 24 over China). South Vietnam’s army lost 2,500 aircraft and helicopters, excluding UAVs (including 1,018 aircraft and helicopters lost from January 1964 to September 1973). North Vietnam lost 150 – 200 aircraft and helicopters. ← Is Christianity killing the Whites of Sweden? You seem to be naive about the (((American))) invasion of Vietnam. Some of the motive must have been to control the money supply; of course by Jews, though I can’t rememer anyone saying so at the time. And profiting from weapons sales is what Jews do: more bombs were dropped on Vietnam than in the whole WW2. And every plane downed meant more loans to be paid by whites. It has to be said, unfortunately, that whites in mass are often stupid. In fact they would have to be to allow Jews to control them. This is a seemingly impossible statistic. USA lost 60K total men in the war. For every aircraft shot down you probably average 4 deaths. That would account for almost all deaths? 2 Memes: Africa is so rich it has rivers of Chocolate – Blacks see Poverty; Whites see POTENTIAL! HELP! Denmark: What’s happened to O-D-I-N.org & NS Viking? Shut down by the Jews or by the Govt?